The thyroid gland is responsible for the production of various hormones that keep our bodies chemically balanced. When the thyroid fails to work properly, it can cause a whole host of health concerns. This article will focus on hypothyroidism – its causes, symptoms, and a few common treatment options. Hypothyroidism (also known as underactive thyroid) occurs when your thyroid gland fails to produce enough of certain hormones. In turn, this can lead to other serious health problems like obesity, joint pain, and heart disease. The condition is most common in female patients over the age of 60, but it can develop in anyone, including infants. These symptoms generally develop over years and get gradually worse with time. At first, you may not even notice the symptoms. But if you recognize any of these symptoms and they are getting progressively worse over time, make an appointment with your physician. 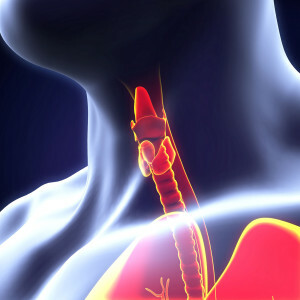 Treating hypothyroidism generally involves trial of medication to boost thyroid hormone levels. When conservative treatment methods fail, or if the hypothyroidism is advanced – surgery may be the best course of action. Surgical removal may also be necessary if the patient has developed a goiter. Each patient is different and will respond differently to treatments. It’s best to have a qualified physician who can recommend the most effective treatment for your situation. If you notice any of the signs of hypothyroidism in yourself or a loved one, make an appointment with your physician to diagnose the condition and plot a course for treatment.